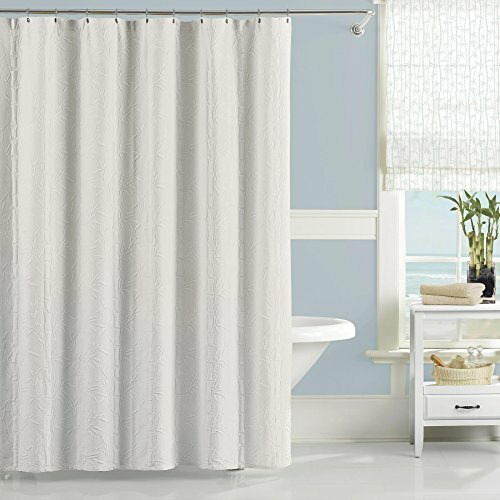 Bring the warm tropics into your bathroom with this vertical all over bamboo matelasse shower curtain. Easy to hang with button hole header over a vinyl shower curtain liner. Liner and hooks sold separately.